It’s Week 4, Bachelor Nation! We begin this week of the Bachelorette with Kaitlyn confronting Clint about the distance between them, and the warnings she’s receiving from the other men. It’s clear that Clint views this as a game saying to the cameras, “I’m confident I’m going to get a rose tonight. I know what I have to do. So I’m going to take care of business. I feel like making some power moves tonight.” Humility really is one of his greatest qualities isn’t it? Kaitlyn sits Clint down to figure out what his deal is, and he describes his relationship with JJ as “best best best friends” and how they’ve grown “very very very close”. She basically tells him to calm down and stop talking about JJ. Kaitlyn describes their relationship as “back pedaling” and how she’s getting warnings from the other guys. He claims that they’re jealous, and then proceeds to play the sympathy card by making her feel bad because, he’s trying to “overcome himself”. She tells him that she’s upset, because she really liked him. He replies rudely with “Okay, so what?” Kaitlyn tells him they’re done because, she doesn’t trust him. What I love about Kaitlyn is that she takes it seriously when she finds out that one of the guys isn’t getting along with the others. Other bachelorettes tend to ignore that red flag, but who wants to be with someone who can’t make any friends? When they go back inside to announce his departure, JJ flips a switch and asks Clint to apologize to everyone for “taking up time and emotions.” Clint leaves and shakes JJ’s hand while JJ expresses how “hard this is” for him. JJ then confronts him again to apologize for turning on him, and Clint snaps. He seems more heart broken over JJ’s betrayal than Kaitlyn’s. As Kaitlyn puts it, peace out Clint. JJ is clearly upset, crying and then slapping his own face before going back inside. Kaitlyn cancels the rose ceremony for Week 3, because of all the commotion the night had caused. Corey to JJ: “Where’s your boyfriend, your boyfriend Clint?” Haha. Shawn to Justin: “Your hair, just ask, I’ll help you one day”, referencing Justin’s awful middle part. After the show, Ashley I. from last season introduces Kaitlyn to the notorious Nick from Andi’s season. We later find out that Nick and Kaitlyn had been talking via text and social media after Chris’s season ended. Nick instantly puts on his flirty and charming persona, just as he did with Andi. He asks her if he can join the other men, in the quest for her love. “The idea that you could potentially get engaged and I wouldn’t have met you kinda bugged me”, he told her. She replies with letting him know that she’d have to think about it, but from the side interviews you can evidently tell she’s stoked to have him stay. Back at the hotel, Kaitlyn brings it up to the guys. Understandably, they aren’t enthusiastic about the idea whatsoever, Shawn being the most hesitant. Some of them even expressed how they would consider leaving if she chose to pursue Nick while others said they trust her and it wouldn’t get in the way of anything. 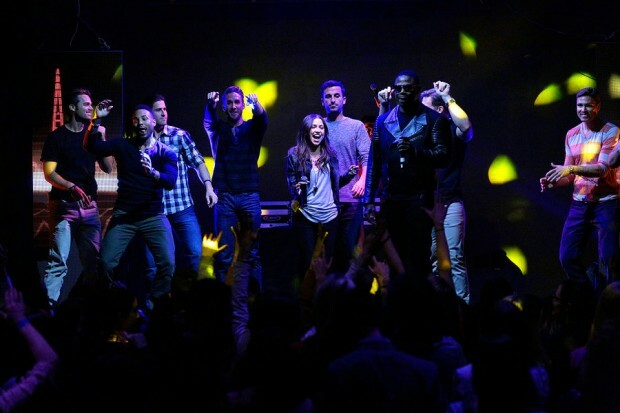 Most of them had watched Andi’s season and knows the ways that Nick turned everyone off, except for Andi. Kaitlyn meets up with Nick again to talk about it, and they end up making out. While watching this, you feel like you’re watching Kaitlyn cheat on her 15 boyfriends. It’s safe to say that I’m anti-Nick, but who isn’t? After all that, she still leaves him saying that she wants to sleep on it. She returns to the date (yes, she just left her group date), and gives Justin the rose. Tanner described it as “the least meaningful rose” given the context of the night. The next day, Kaitlyn invites Nick to come chat while she’s getting her hair done to get ready for her one on one date with Jared. Guess who her hair stylist is? My favourite contestant in all of bachelor history, Ashley S. Before Nick arrives Kaitlyn asks Ashley for advice on the situation, and she actually has some wise words. She said that Kaitlyn’s connection with Nick sounds like lust, not something serious. Amen, Ashley S! Kaitlyn and Nick then meet up to talk yet again. She tells him how the guys weren’t happy, but how she’s looking for someone to spend the rest of her life with and sometimes she has to be selfish. They depart again without a final answer. She takes Jared on a beautiful one on one date at the Metropolitan Museum of Art which she booked out just for them. The dinner conversation eventually leads to the topic of potentially having Nick on the show. Long story short, he tells her that the show is about her and having Nick come on wouldn’t change his confidence in their relationship. At the end of their dinner, he recites a romantic poem he made for her and she tells the cameras that he got her “back on track” tonight. At the end of their date, they share a classic helicopter ride around the New York City sky, and he receives a rose. The oh so manipulative editors then lead us to believe Kaitlyn’s content with the guys she has, saying “Maybe I don’t need Nick.” Don’t be fooled, Bachelor Nation. The next day she tells the guys that Nick will, in fact, be moving in with them. 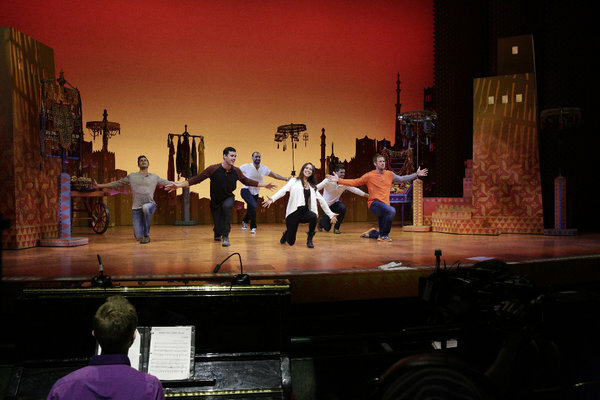 The second group date incorporates the culture of New York City, by having the guys audition for an act on Broadway’s rendition of Aladdin. They even have Jasmine, Aladdin and the Director judge their performances. The man with the best theatrical performance gets to act as an extra in that evening’s show with Kaitlyn and have a one on one date with her after. They practice their dance routines as a group and then go on to the vocal auditions. Some are horrible, some are pretty decent. Ian is the star with his talented voice, but Chris ends up winning the competition with his dramatic stage presence. Before going on stage for the evening’s show, they even share a backstage kiss. The episode comes to a conclusion with Nick arriving at the hotel, ready to move in with the other men. 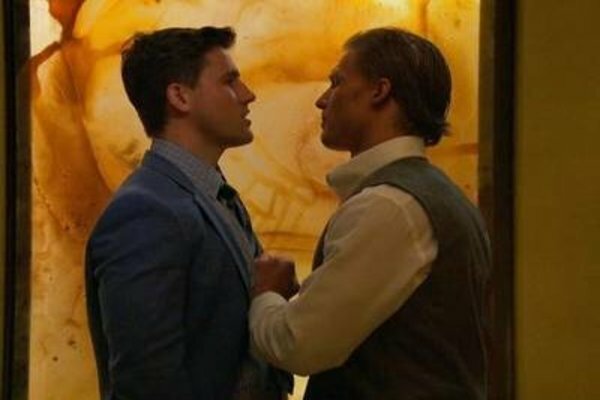 The dramatic music cues as he walks up to the hotel room door, and we’re left with the image of death stares from 15 men and the thousands of ways they will make it unbearable for Nick. Until next week, Bachelor Nation.